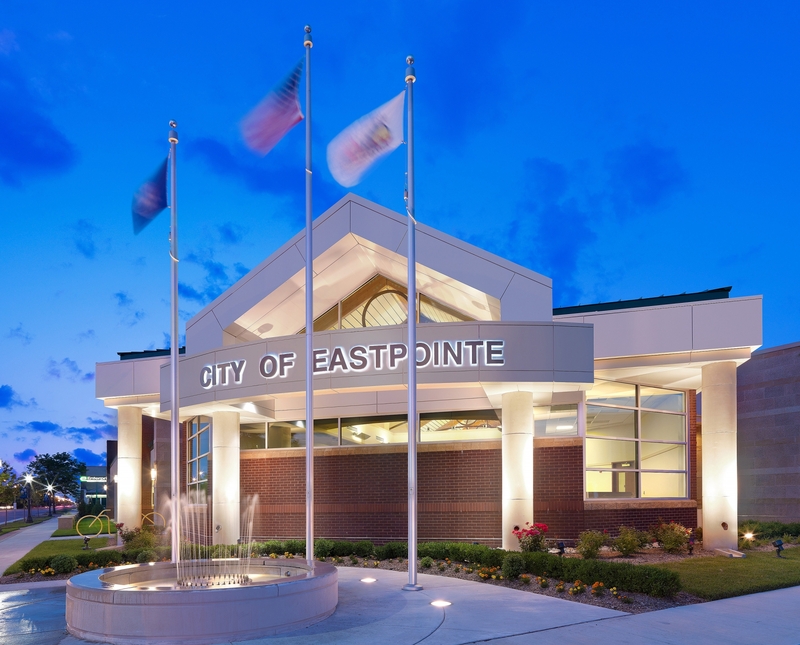 The new Eastpointe City Hall replaced a facility which was programmatically inefficient, difficult to navigate and costly to operate. 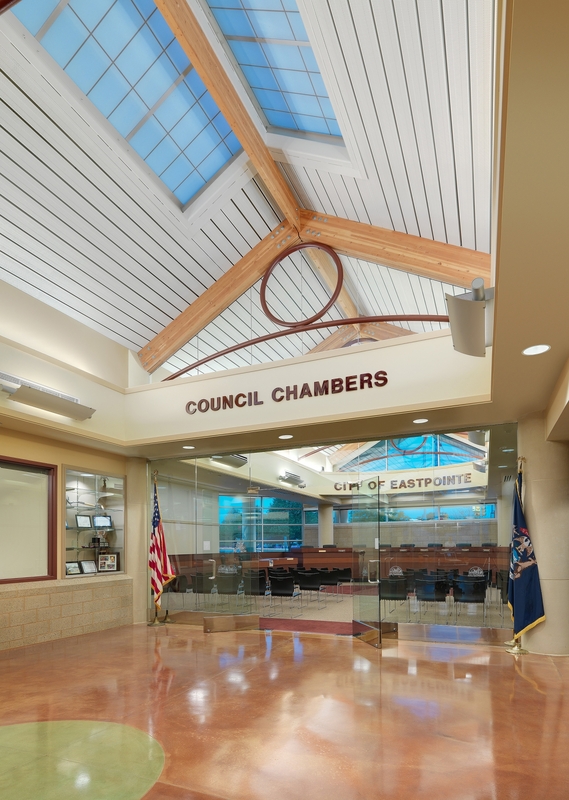 Prior to deciding to build a new facility, PARTNERS in Architecture, PLC evaluated many options for providing appropriate space that suited the needs of all departments within the City Hall. 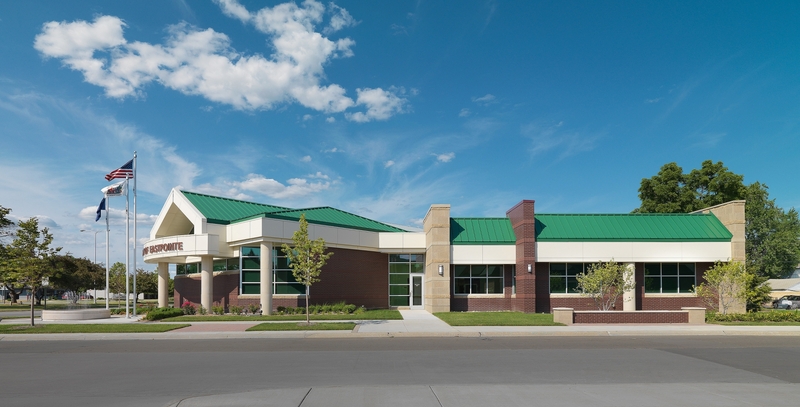 Options for reconfiguring and adding onto the existing building, relocating into a vacant building within the city and constructing a new facility were presented to the city for consideration. 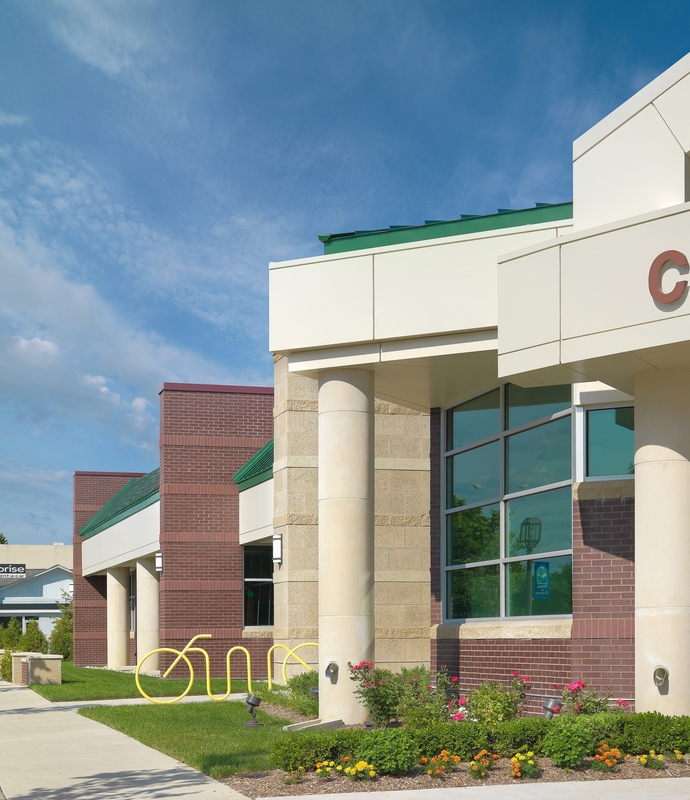 Cost models for each were developed and it was determined that a new facility was the appropriate solution for the city. 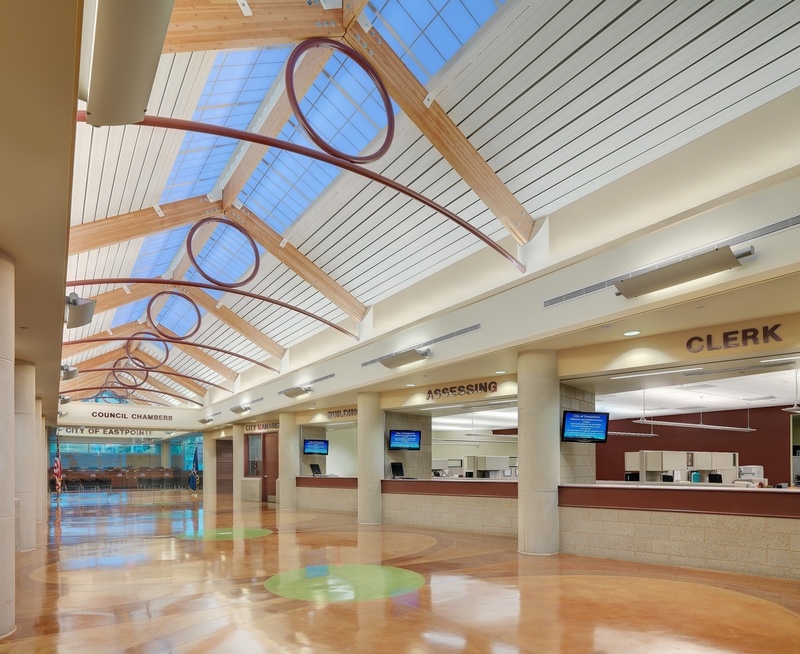 The new 20,000sf facility welcomes visitors into an open, bright and inspirational reception lobby, providing them with an appropriate vantage point to navigate their stay. 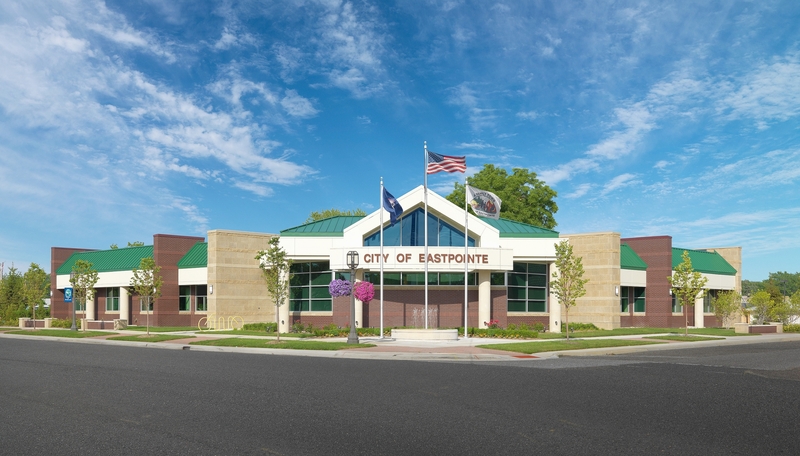 Each of the city departments is easy to find and access, supporting their communal goals of improving customer satisfaction and collaboration. The open office work areas are accessible and appropriately organized to allow staff to quickly address visitors while providing an energetic team working environment. The overall design process was highly collaborative and challenging. 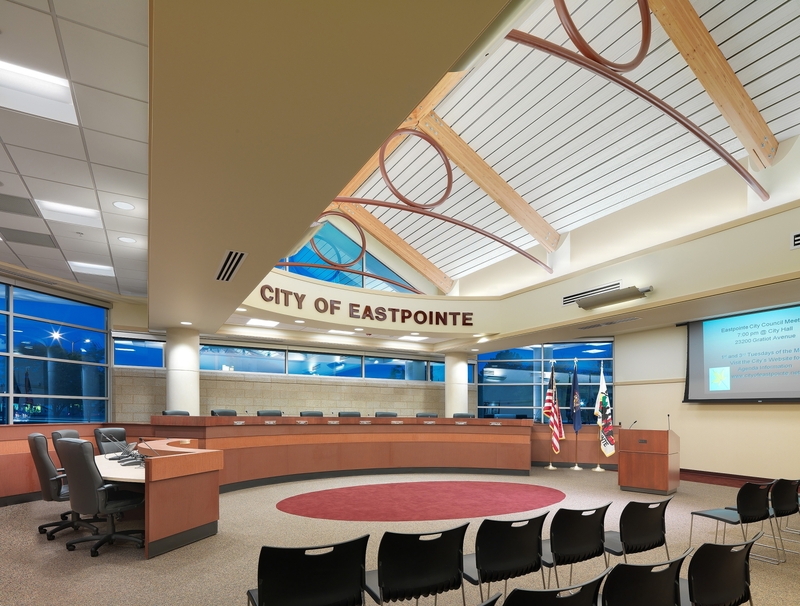 Stakeholders including City Council, Building Authority and City Administration members, as well as public users imparted their needs and desires to the design team. 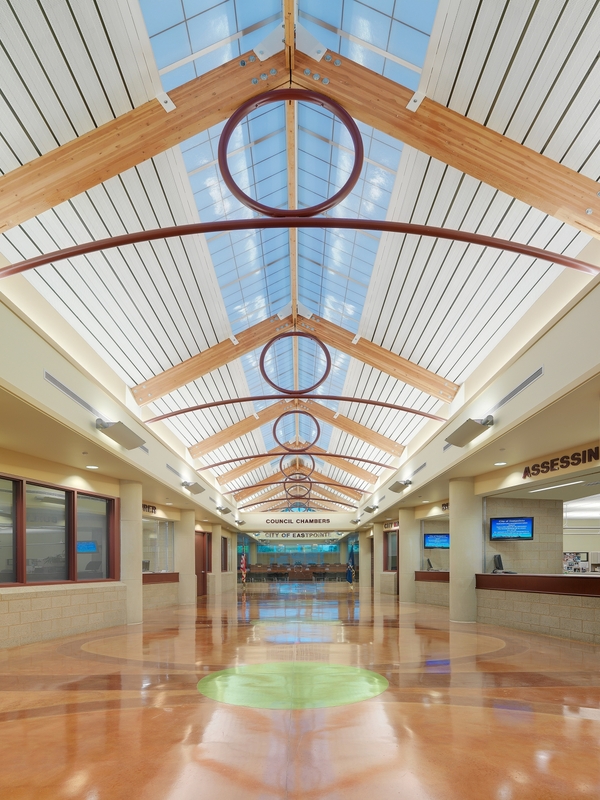 The information was carefully recorded, analyzed and refined, then coupled with facility programming results to impact design development. 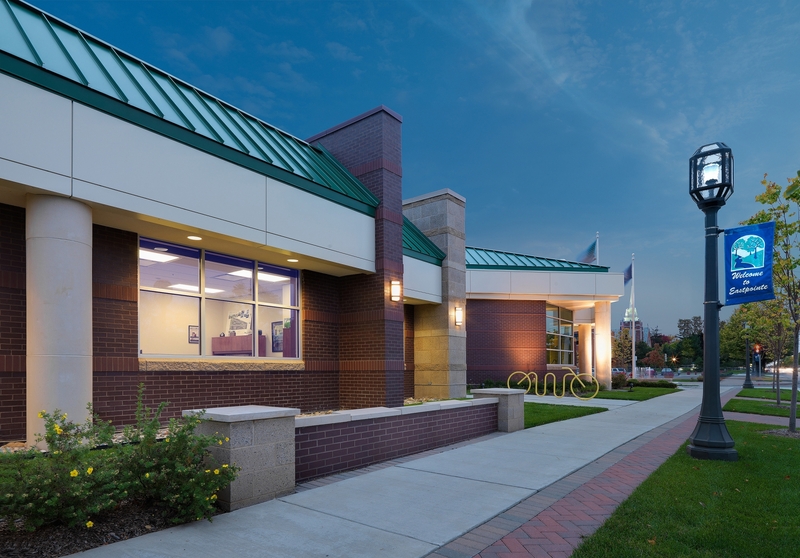 PARTNERS also worked closely with local veterans groups in the redevelopment of the war memorial within the new Civic Center Plaza. 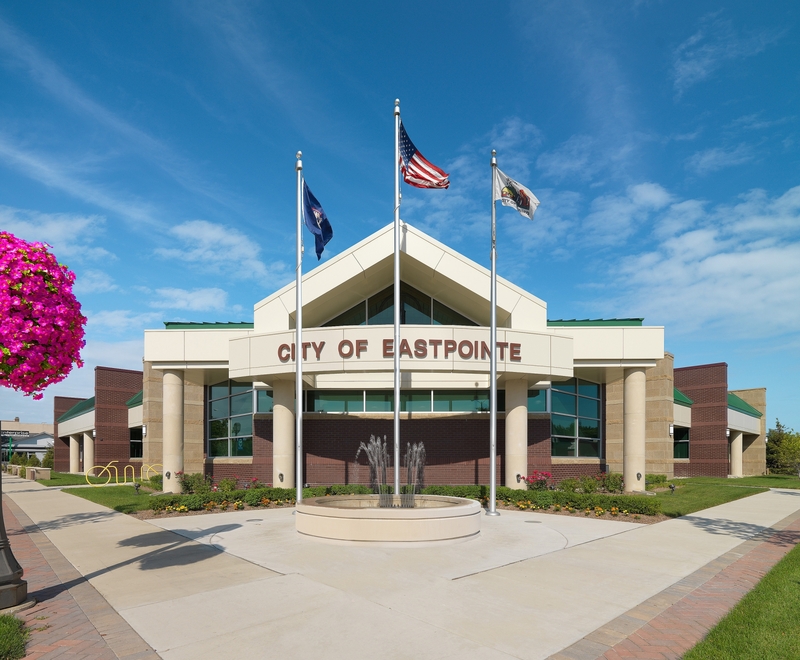 The new Eastpointe City Hall successfully serves this community and will remain a source of pride for years to come.